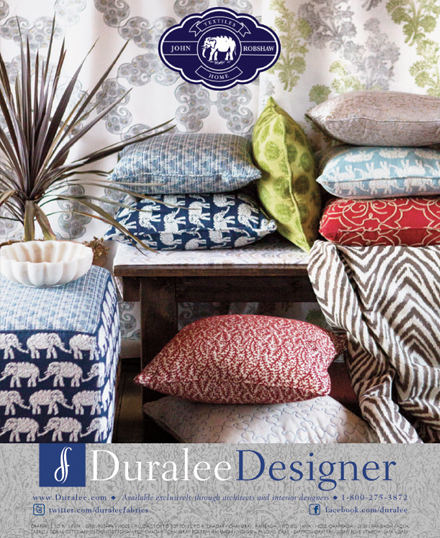 John Robshaw fabrics for Duralee | Vim & Vintage - design. life. style. I love getting mail. At home. At work. Wherever. I think I just like having something to open! Well, the other day we got in some new Duralee fabric books in, so of course it was like Christmas morning for me at the design studio. Here’s a few new fabrics I’ve been drooling over. From the Gatwick collection, I can visualize these lovelies together. But, just so you know, I can’t talk about Duralee and new fabrics without bringing up the John Robshaw Collection!! Globally chic. Classically contemporary. These gems are also relatively new (they came out back in the Spring).